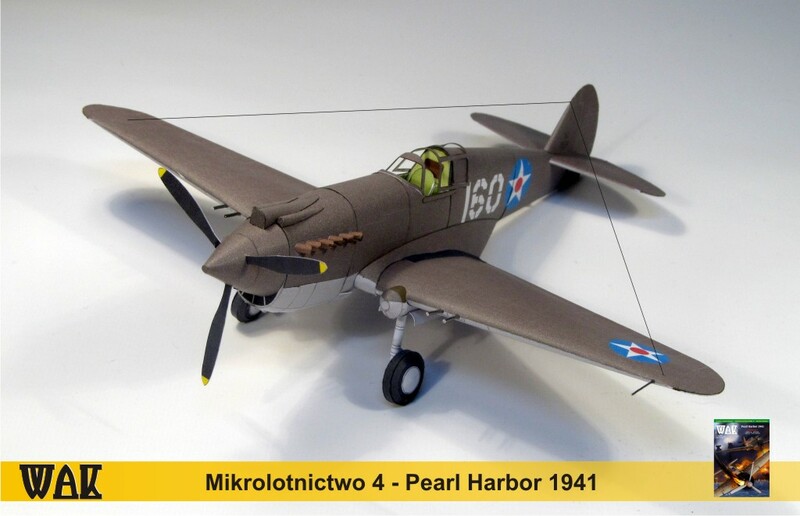 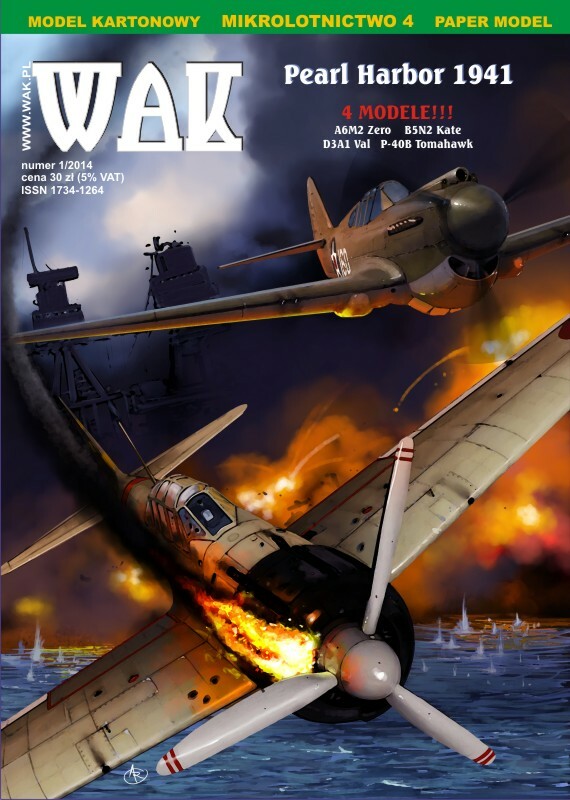 The 4th WAK magazine of a series of "Mikrolotnictwo" ("Microaviation"). 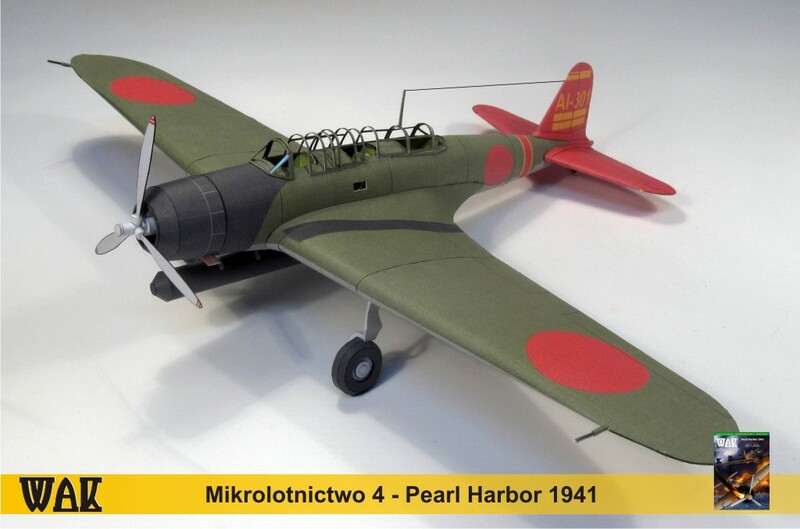 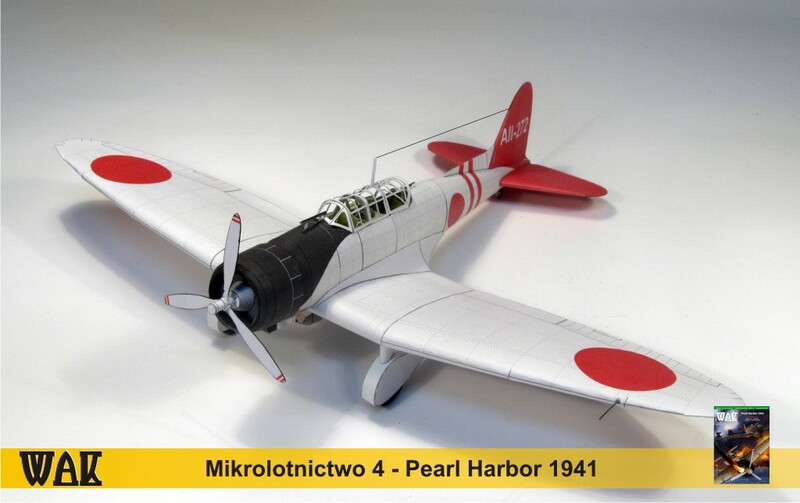 In this series will appear sets of model airplanes in scale 1:50 joined single event. 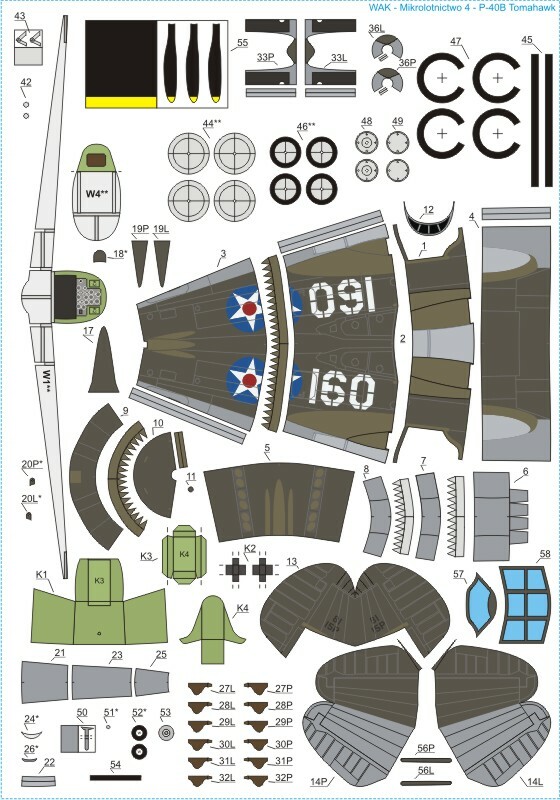 Model for beginner, but not only. 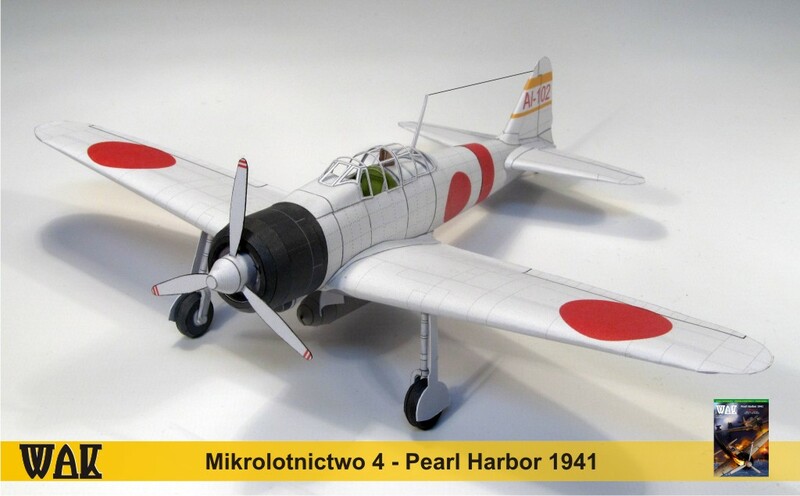 It can be treated as a a break between "serious" models. 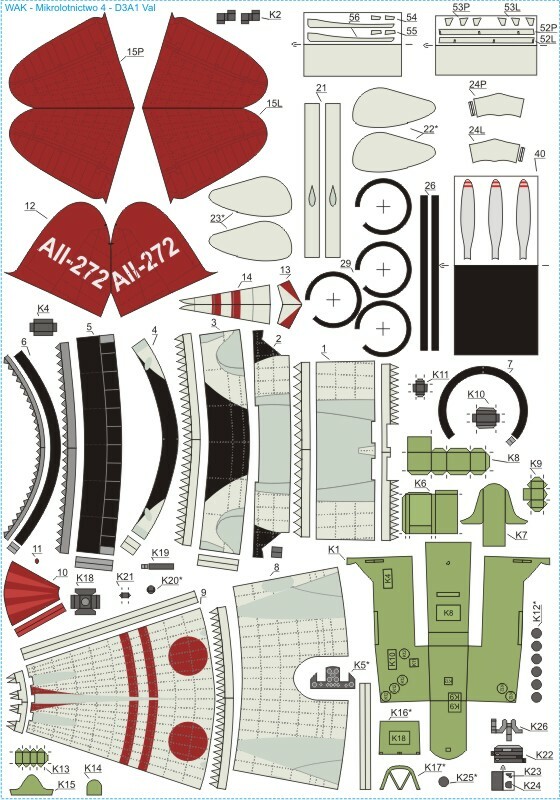 Scale: 1:50 designer: St. Sliwinski skill level: 2/5 Sheets with parts: 4 assembly drawings: 30 available accessories: n/a Easy model of jet fighter-bomber. 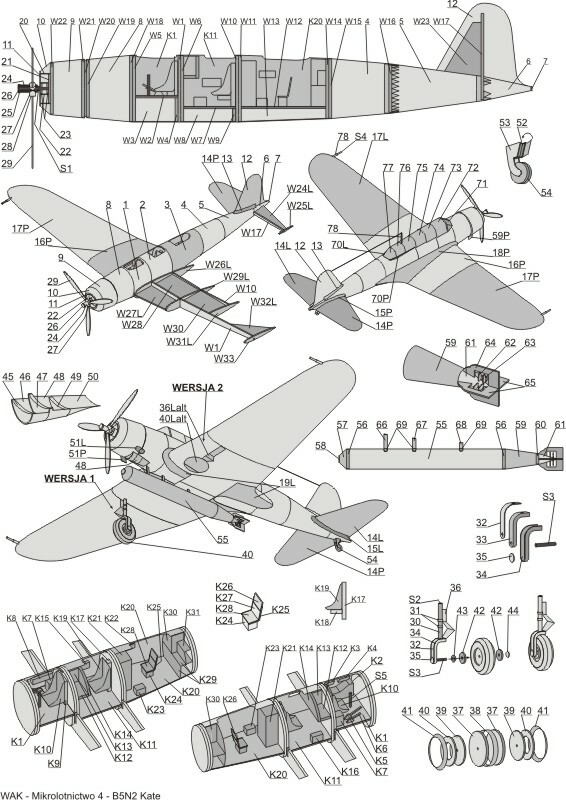 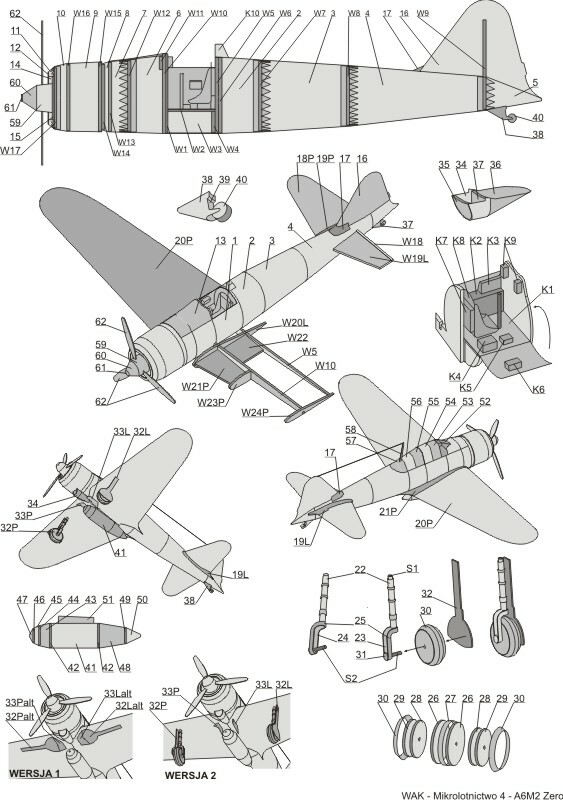 Scale: 1:50 designer: St. Sliwinski skill level: 2/5 Sheets with parts: 4 assembly drawings: 27 available accessories: n/a Easy model of jet fighter-bomber.